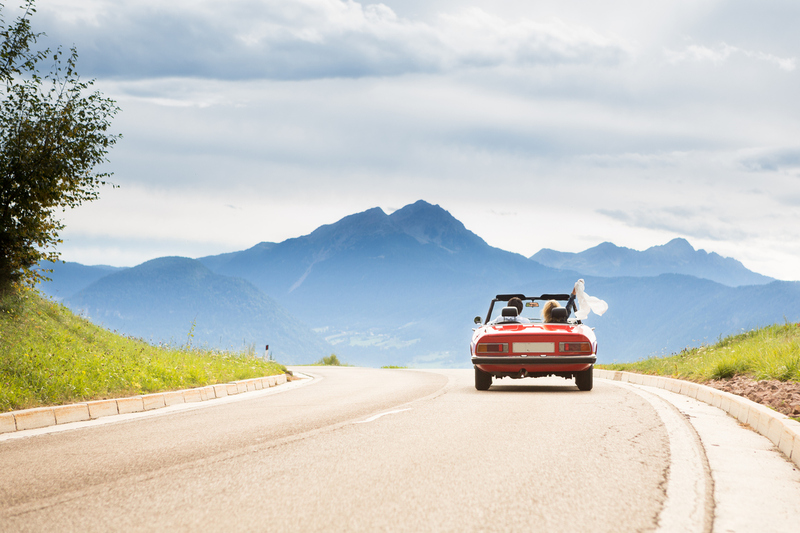 With Spring well on its way, you might be thinking that this is the year you’ll be cruising down the highway in a drop top, hair flowing in the wind. Owning a convertible is enjoyable for those looking to enjoy a quintessentially American experience - simultaneously driving down the road and out in the world. For driving and travel enthusiasts, a convertible marks a luxurious high point in automobile ownership, and while they can be really, really fun to own, the buying process isn’t nearly as enjoyable. If you’re considering buying a convertible, you’ll want to make sure you’re getting a great car at a great price. Many first-time convertible owners start the convertible buying process in the heat of summer and driving season, causing them to pay inflated prices with more competing buyers and fewer benefits. Follow these three tips below to get the best value on your next convertible purchase. If you’ve ever bought a home or a plane ticket, you might be aware that prices fluctuate with demand in seasonality. The same goes for convertibles. Because convertibles demand nice weather to be enjoyed, the demand tends to skyrocket during the late spring, summer and early autumn months. Because dealers control prices of both used and new convertible models, they know they can charge more during times of high demand - usually between late April and late September. During those months, buyers usually become more interested in 4x4 and sporty models, so, naturally, the demand for weather-susceptible convertible cars tends to dwindle. Take advantage of low demand by purchasing your drop-top during the off-season. Fuel costs: For lower gas mileage vehicles like sporty convertibles, fuel costs can be about 26% of your TCO. Interest: If you buy your car new or used and utilize a lender, you’ll need to calculate the interest rate into your TCO. Interest rate varies according to vehicle price and your credit. Typically, interest accounts for 12% of TCO. Insurance: Overall insurance costs depend on your age, location, driving record, vehicle make and model. If you’re an average driver, you can usually calculate insurance at 11%. Maintenance and repairs: The average maintenance and repair costs for most cars is around 4 or 5%, but convertibles come with additional considerations due to more permeable auto tops and more exposure to the elements. 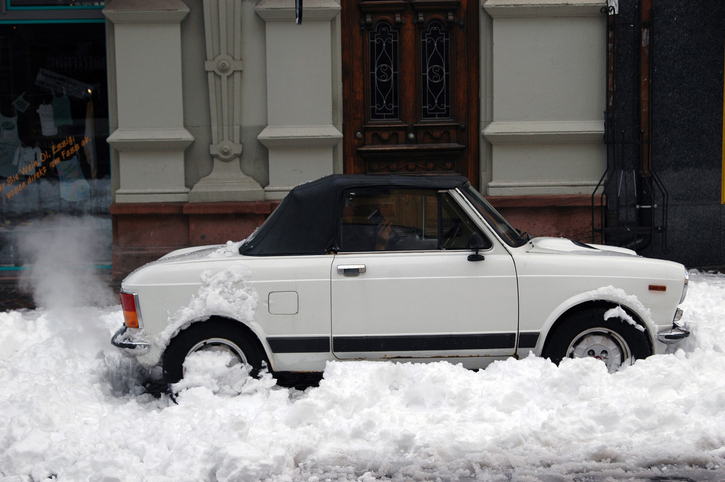 If you have covered, protected parking or a hard top, you can calculate on the lower end of that interest rate, but if you’re planning on exposing your soft top to the elements for extended periods of time, you may want to add a replacement auto top into your calculations. Sales tax: Sales tax costs owners about as much as maintenance and repair, assuming the national average of 4.9%. In 2019, you have more options on where you buy your convertible than ever before. There are a lot of reasons to buy your first or next convertible from a certified dealership. Warranties - Dealerships offer the security of warranties on both new and used convertible models. This means the burden of repairs and maintenance will be covered (up to a certain extent) and can save you some serious money if something goes wrong with your car. Relationship With Lenders - Dealerships typically have great relationships with auto lenders and are able to get you a reasonable rate. Help With the Process - Dealerships get a bad rap, but let’s not forget that your car salesman is there to help walk you through the car-buying process, which can be tedious and involve lots of paperwork, titles, etc. While finding a “great” deal might be difficult through the dealership, there are reasons why they charge higher prices than independent sellers. With the abundance of online car retailers, convertible buyers can shop, inquire and even set up a test drive, all before they decide to buy, entirely online. Not only is it easier to shop for your convertible from the comfort of your own home, but you also have access to more inventory because your search is nationwide as opposed to what the dealer has in stock. The online car buying industry mostly focuses on used cars - especially in the for sale by owner sites like eBayMotors and CarGurus. You can still find reputable sellers at sites like AutoTrader, CarVana and more. Just be sure you’re using a reputable source or working with a reputable seller before exchanging any money or titles. The independent marketplace is still the best place to find a classic car or niche sports car. There are a ton of options out there for folks who are looking to get their hands on a classic convertible. Independent sellers usually offer the benefit of a cheaper price than a brick-and-mortar or online dealership might, but they lack any of the benefits of certified dealers, such as financing. If convertible ownership is something you’ve thought about, now is the time to buy. Take advantage of low demand and seasonality to get reduced prices on new and used convertibles. And when you’re ready to get a new top, visit AutoTopsDirect.com for the best deals on replacement convertible tops for a wide range of vehicles. Unless you're one of the super-rich elite with money to burn, vehicle purchases should be seen and treated as careful investments. Maintaining a vehicle’s resale value is the number-one reason convertible owners treat their cars with such tender loving care. When it comes time to sell, they’re able to stick to their price with confidence. So, we’re going to go through a few ways you can invest in your convertible car to best maintain its value. Believe it or not, having clean carpeting and original floor mats greatly enhance the look of the interior. Few other interior spots take as much abuse as the flooring and floor mats. Your local auto store will have affordable thick rubber mats you can place directly over your original floor mats to provide much more coverage and protection. These are much easier to clean than carpeted floor mats and will last for years. Weathertech makes mats for floors, trunks, and all interior spots with exact fits for virtually every make and model. When replacing floor mats, always make sure driver’s side floor mats do not interfere with the operation of any pedals including the parking brake. Front and back seat covers will ensure your vehicle has a sharp, custom look and is protected from stains and damage from everyday use. Damage to seat cushions including cuts and burns cause expensive repairs and will surely make a buyer think twice before committing to a purchase. Seat covers stop most liquids before they can soak into the cushions and prevent wear and tear from frequent use. Once you are ready to sell your car, you can take them off to reveal what appear to be brand new seat cushions. So, the dad in me really comes out in this one! Washing and waxing a car is a great way to protect the exterior (and interior) from the damaging sun, as well as inclement weather and driving conditions. A convertible’s fluids are the lifeblood that keep it going. Replacing your car’s oil and fluids will keep all involved parts properly lubricated, which means they will last much longer. Tune-ups will also help keep your engine, brake system, and more operating at peak efficiency. Keeping an accurate record of all regular maintenance will help buyers understand the level of care you’ve put into the vehicle you are selling which will hopefully result in a high selling price. Make sure you don’t have a ‘drive it like you stole it’ mentality if you ever want to resell your convertible. If a vehicle has been abused, even a mildly informed buyer will be able to tell pretty much immediately. Try to think about the day you plan on selling your car before you rev the engine or hit those speed bumps without slowing down. This doesn’t mean you can’t enjoy your vehicle to its fullest, just use some common sense when doing so. Taking these steps will definitely help maintain your convertible’s resale value and get you the price you want and deserve. Always make sure your convertible is spotless inside and out (even under the hood) when showing it to potential buyers and all fluids and inspections are up to date. Your attention to detail will put buyers at ease and help make the process smooth, successful, and fun! 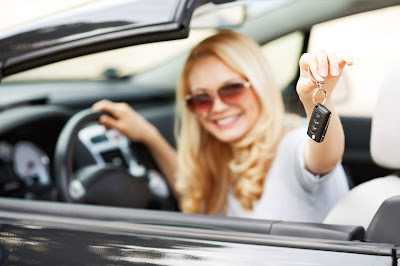 What are your favorite tips for maintaining a car’s resale value and selling it at the best possible price? Share your stories in the comments below!